The last few posts I’ve been talking about the beautiful places we ate out in Edinburgh. 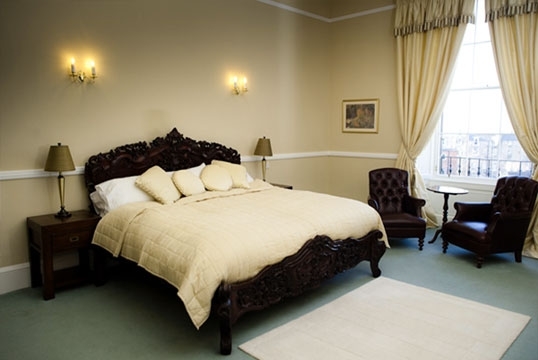 But how could I neglect to mention the stylish boutique hotel where we stayed! 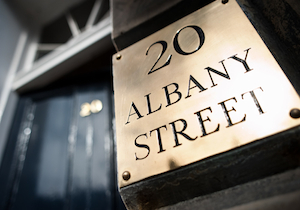 20 Albany Street was described as a “a luxury boutique bed and breakfast in the heart of Edinburgh’s historic and vibrant New Town.” and that is exactly what we got. The B&B is run by a lady called Denise and the place was immaculate! The room was clean, bright, with tall ceilings and the best bathroom I have ever seen! One day in my dream home I will have a bath like that. a stand alone bath in the center of the room. The building itself is a grade ‘A’ listed town house dating from 1815. 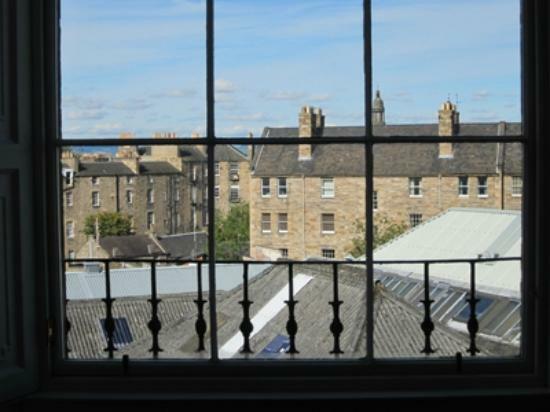 Out of the window was a view of Edinburgh rarely seen by most tourists. Looking away from the castle and the main hustle and bustle of Princes Street we were greeted with the sight of Edinburgh’s town houses with their old style roofs. Denise was such a fantastic host and was always full of recommendations of places to visit or things to see – and even left us a list of great restaurants to try in our room! She also cooked us a breakfast every morning using fresh sausages, bacon, eggs, mushrooms and beans – and was always willing to cook us something else that wasn’t on her list if there was something specific we wanted. 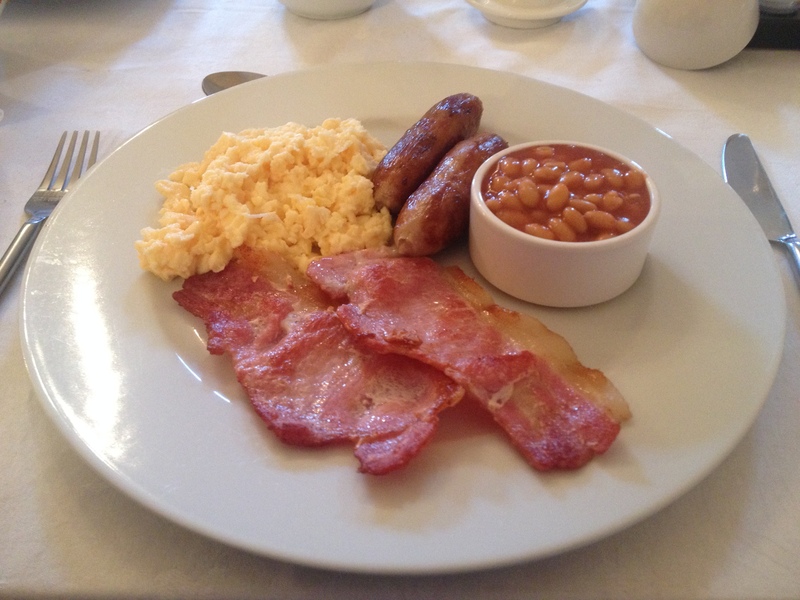 The breakfasts were always piping hot and delicious served with a pot of tea and plenty of juice! There was always croissants, cheese and fruit on offer in case you wanted a lighter breakfast too. We had a lovely time staying with Denise, she made us feel really welcome and the B&B was a perfect spot for exploring the sites around Edinburgh. After a hard days exploring the streets it was a lovely place to come back to for a well earned rest! Would definitely recommend and you can find her website here! 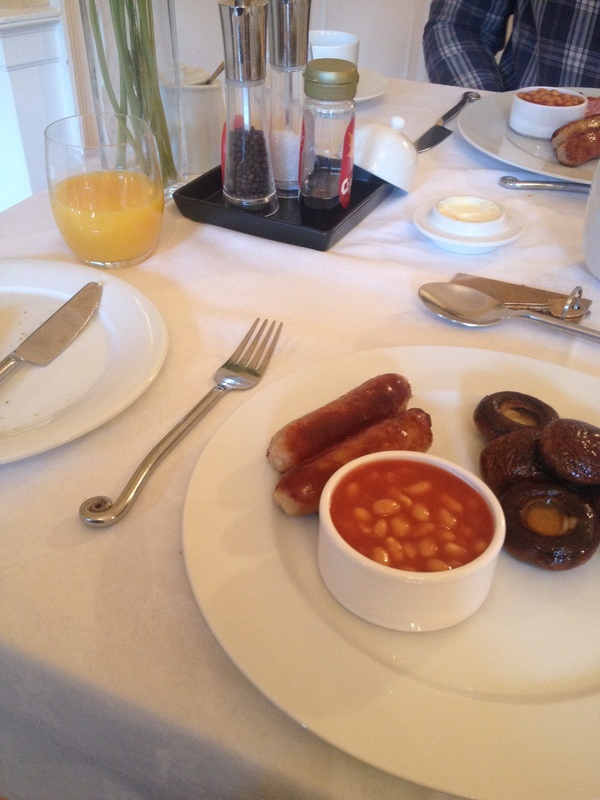 The room and the breakfast look amazing. What an amazing B&B!